It’s been a while since I crocheted a full stuffed animal, so when I saw some of lalylaland’s patterns, I couldn’t resist trying something new. Like all of my adventures in crafting, it’s rare that everything goes exactly as planned. 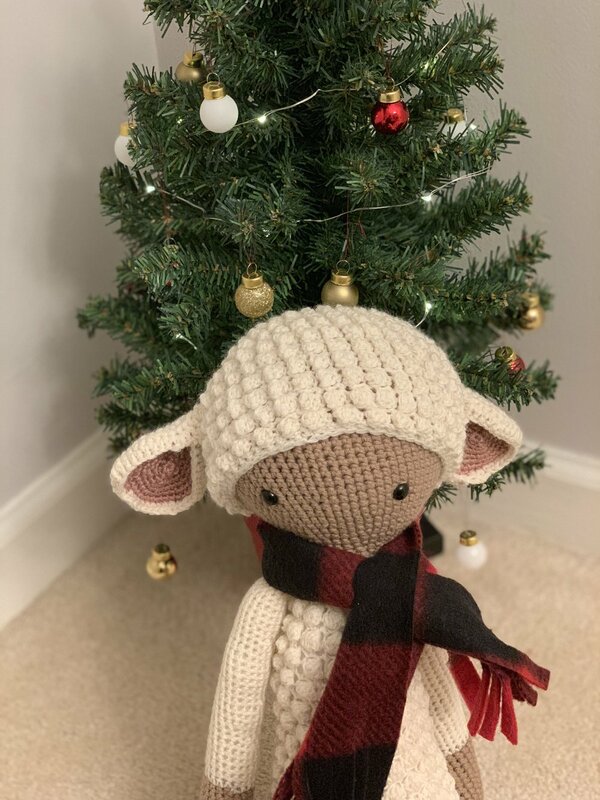 Somehow the head of this little lamb ended up ginormous - definitely bigger than it was supposed to be - which I’m not sure how it happened - but per usual, I made adjustments and just winged it in order to finish.